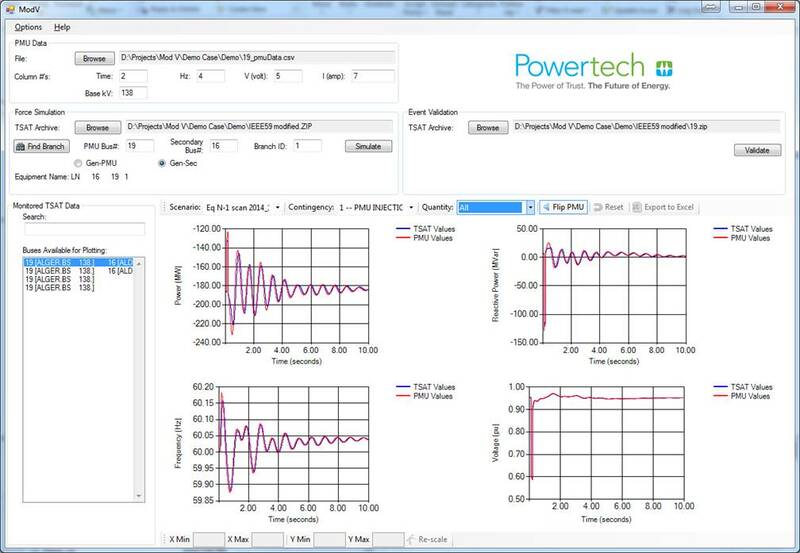 ModV is a tool created by Powertech to validate dynamic models against PMU data from the field. It aims to enhance power system modelling and analysis mandated by NERC MOD 33 requirements. ModV is a highly intuitive, standalone tool that takes a TSAT case and PMU data in CSV format as an input that can either come from an offline or online source. ModV comes with a suite of features like zooming, panning, setting axis, and exporting data to Excel that allows easy graphical analysis of the results in detail.